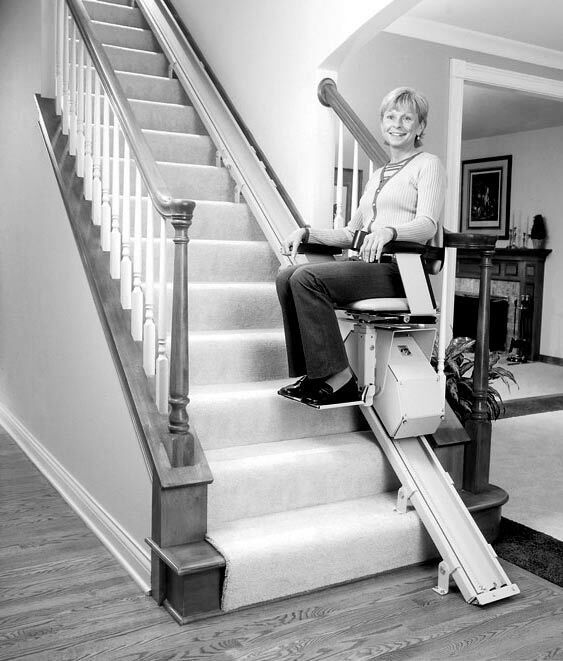 By removing obstacles to your safety, we enhance your independence at home and provide reliable disability access. 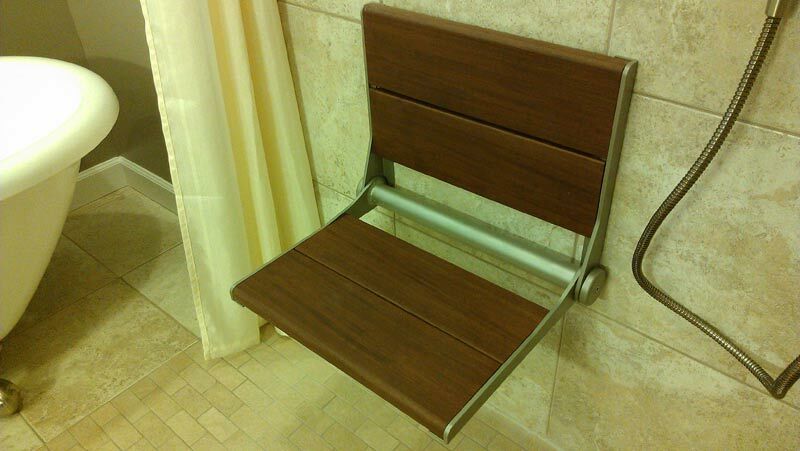 Accessibuilt Inc. provides solutions to mobility challenges by making your home fit your needs. As home accessibility experts, our custom and pre-built home modifications improve the lives of those who require special-needs support and of the many people who want to age in place – living safely and independently at home for as long as possible. 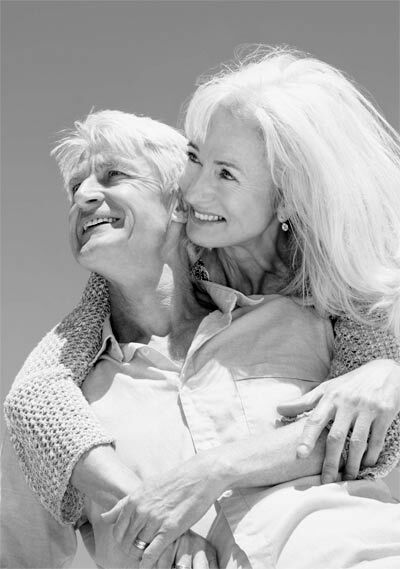 Our customized approach starts with a free consultation to determine your needs. By improving home accessibility, our home modifications extend the amount of time you can live in familiar, comfortable surroundings. 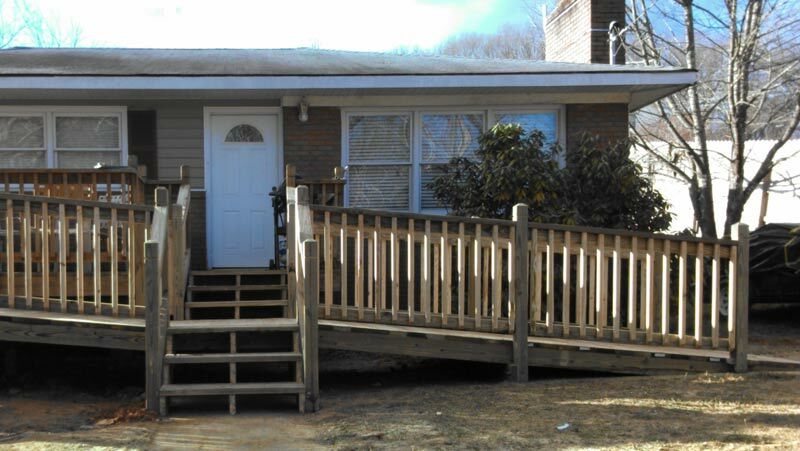 Accessibuilt’s home modifications improve the quality of life for seniors, adults caring for parents and others for whom wheelchair accessibility or other types of disability access are important. 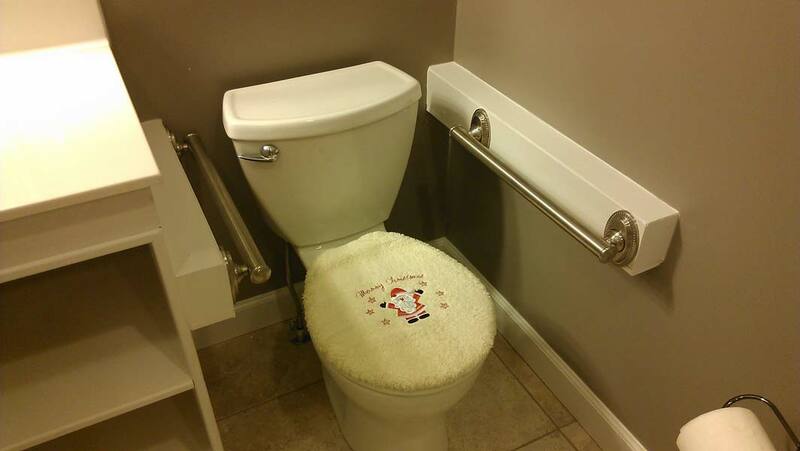 With potential injuries from slips and falls, the bathroom is the most dangerous place in your house. We take the anxiety out of moving around in your own bathroom by making your home safe and usable for all ages and abilities. 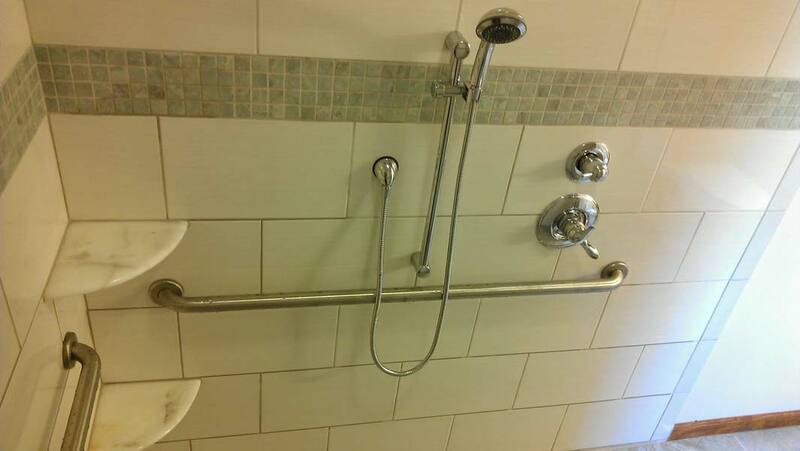 In addition to replacing tubs with roll-in and walk-in showers, we install shower seats, grab bars and hand held showers. 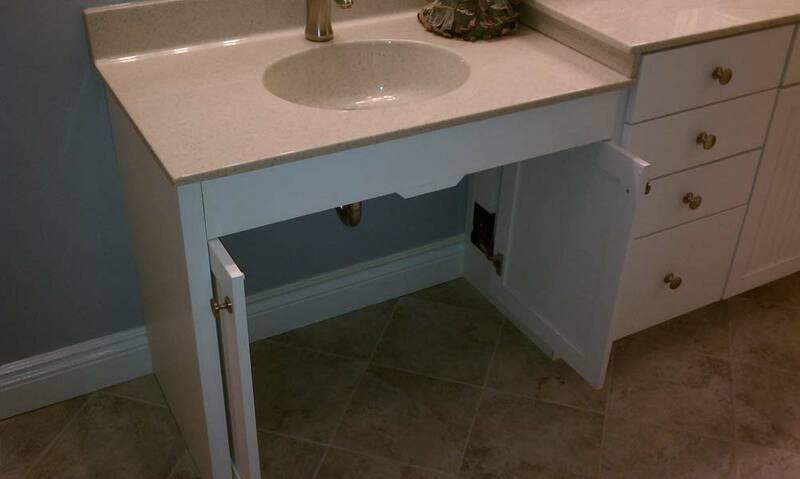 Our roll-under sinks in bathrooms and kitchens help with disabled access. We also install wheelchair ramps, widen doorways for wheelchairs, install lever handles on doors instead of knobs, and install stair lifts and wheelchair lifts. Many jobs can be finished in a day or two with minimal interruption. When we’re finished, your family will enjoy increased independence at home and safety at home. Accessibuilt’s customers rely on us for efficient, knowledgeable service with their home modifications. We take time to educate you about the best methods to make your home safe and accessible. Most of our work comes from referrals. Accessibuilt receives my highest recommendations for a quality job! 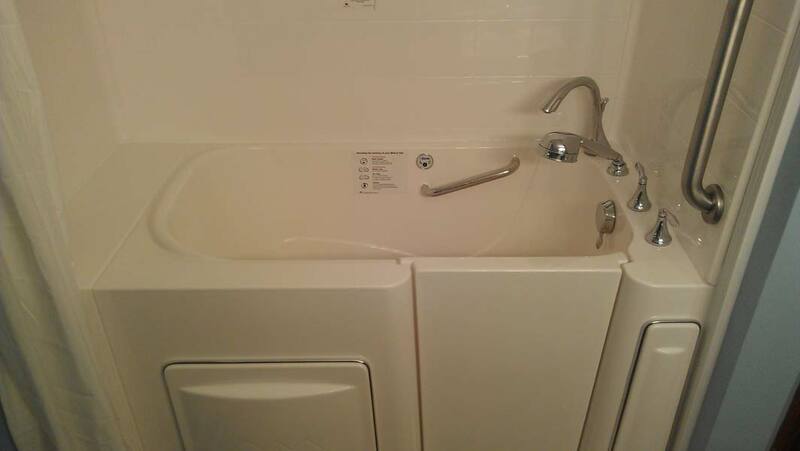 Professional, committment to workmanship and excellent communication– all that and a beautiful new walk-in bathtub for my disabled teenage daughter. Dan and his team were so easy to work with–they exceeded my expectations! An accessible bathroom modification is a daunting project but Dan’s expertise and high attention to detail as well as his team of artisans put us at ease throughout the project. 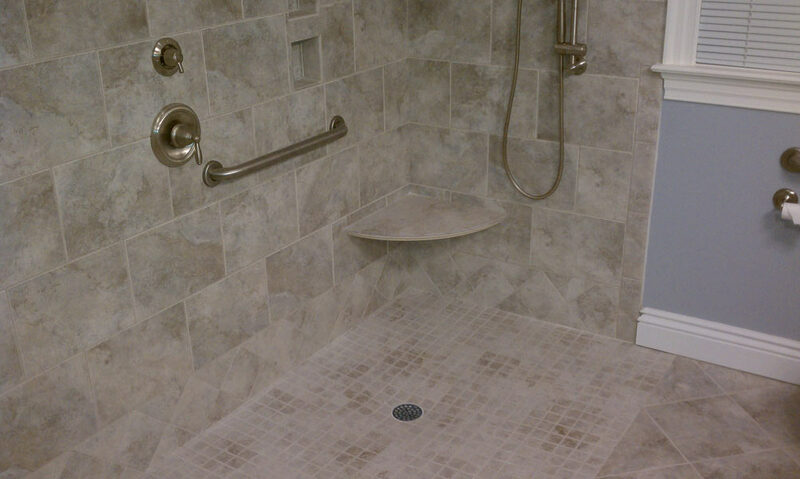 The end result is a beautifully integrated bath that can be used by all ages and abilities. Accessibuilt remodeled our bathroom for our 7 year old son with CP to make it more accessible for him and allow him more independence. 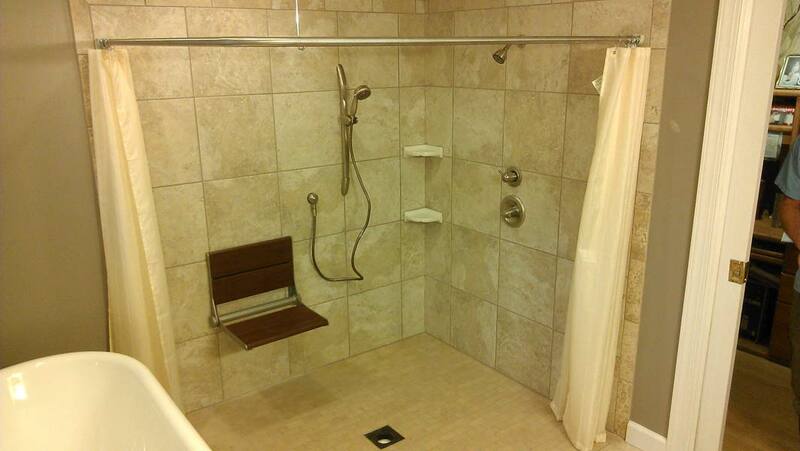 He now has a beautiful roll in shower with tastefully done shower bench and pocket door. 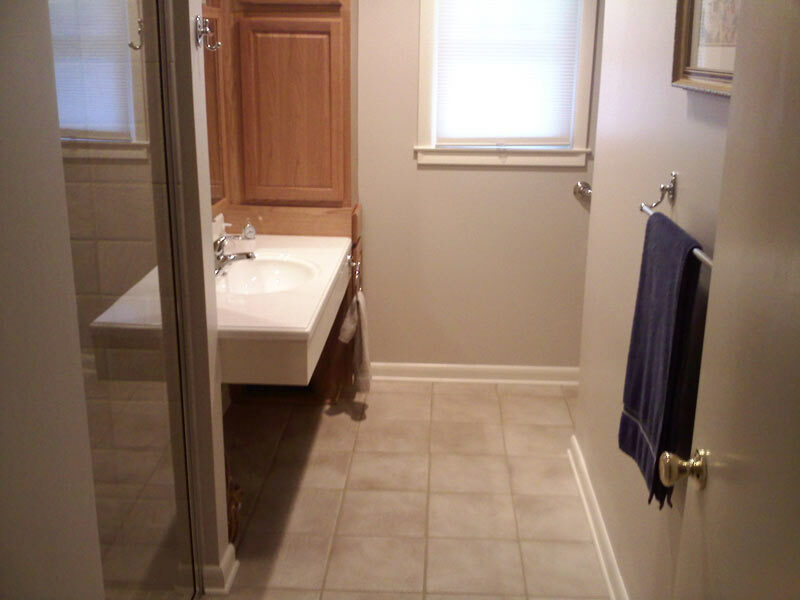 The bathroom was done in the style of our home and flows well with our decor. Accessibuilt provided prompt estimate of all work to be done. They gave an anticipated start date and arrived on that date. They were at our home working in a timely fashion without a great impact on our family while the work was being completed. They were very open to discussion on design elements and what worked best for our son. The work was completed on time and our home was left clean and debris free. We are completely satisfied! We would very much recommend them! 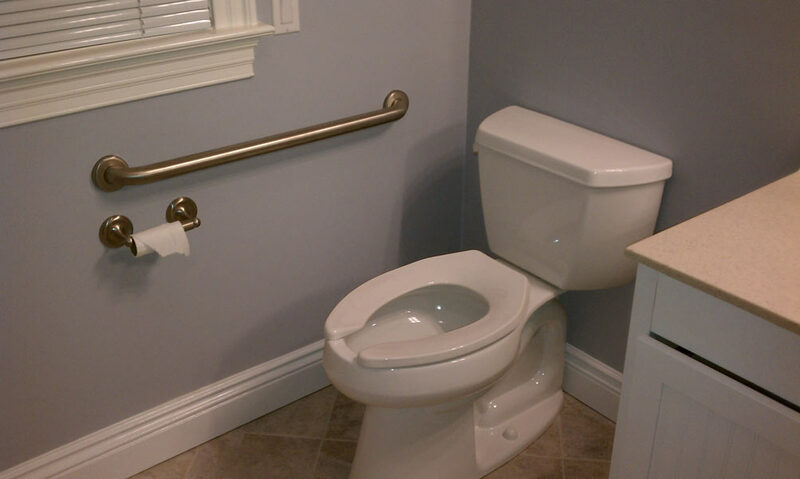 Accessibuilt has completed several bathroom modifications, installation of pocket doors and widening doorways, and have built ramps for people that I support. The families I work with have reported that they are always friendly, quick to complete jobs, and keep a clean and neat workspace while completing the jobs. Accessibuilt has definitely met expectations in all circumstances, and are able to “think outside the box” especially in cases where the home is smaller, or the structure is different which can make it difficult to complete modifications. The jobs completed by Accessibuilt for the families that I support have all been successful, offered more independence and ensured safety for the individual. As a Rehabilitation Engineer for the NC Divisions of Independent Living and Vocational Rehabilitation, my responsibilities include designing residential modifications to increase accessibility for individuals with disabilities. It has been my experience that Accessibuilt has consistently provided quality work in a professional and timely manner throughout the last ten years with our agency. I am looking forward to the next ten years and many more successful projects with Accessibuilt. Dan has always been happy to help and spends the time necessary to explain the process of helping families with their home modifications needs. He is professional, friendly, and timely. 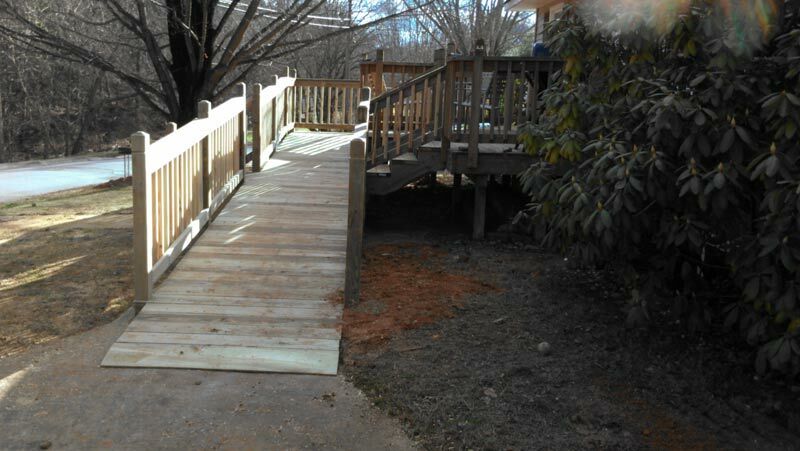 Accessibuilt gets the job done well, and they communicate with people professionally. I like calling the contractor and actually having him pick up the phone and talk to me directly. Dan Sanner and his crew have a long standing track record for being dependable and getting the job done in a timely manner. They have always been a pleasure to work with and I can safely say that Accessibuilt continues to be at the top of our list of contractors, and that the quality of their work is second to none. Dan’s a great guy and he does great work! Accessibuilt is more than a company that delivers top notch professional service, they are great people who work well with, for all the people we serve. Retired – Mountain Projects, Inc.
Dan is friendly and easy to work with, highly skilled, and does a project quickly. I would recommend him to anyone in need of remodeling. Accessibuilt’s broad experience with home modifications has given us a reputation for flawless craftsmanship, durable products and attentive service. That’s why public agencies and private organizations work with us to ensure that disability access and other special-needs support are provided for adults and children in their homes. We have a long history of working with the North Carolina Department of Health and Human Services, area home health agencies, and hospitals. These organizations are good resources for adults who are caring for aging parents, for special-needs adults and for parents of kids with special needs. We incorporated Accessibuilt, based in Waynesville, N.C., in 2001. Since then, we’ve served clients around Western North Carolina by providing wheelchair accessibility at home and meeting other needs. We offer free consultations at your home and free estimates, and we’re licensed and insured. 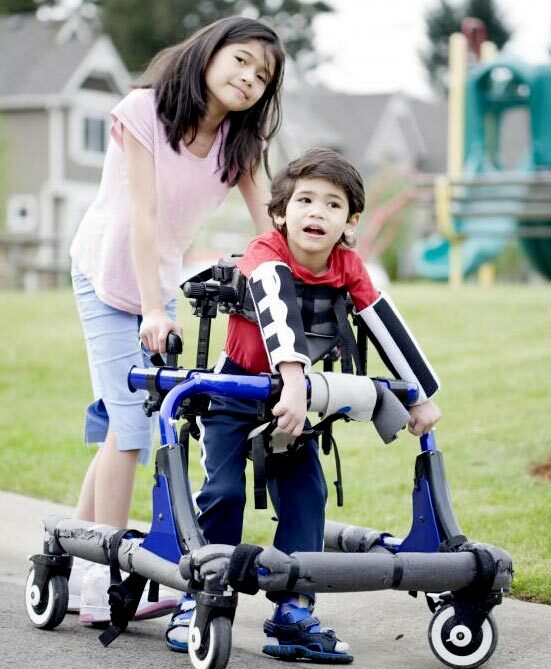 We make a difference in the lives of children, adults, and seniors by making living spaces usable and fully accessible. We do this by being on the leading edge of training and education, doing what we say when we say we will do it, and keeping your home clean and safe with as little disruption to your daily life as possible. Our employees are highly respected and respectful, expressing themselves in their work while providing for their families and giving to the community. Dan is on-site and hands-on to supervise every project. 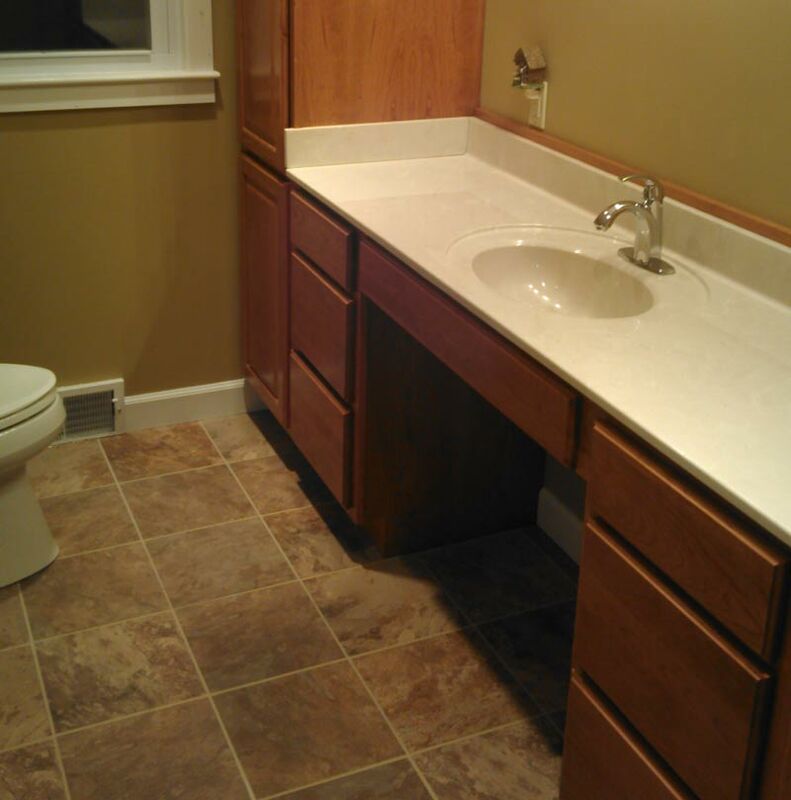 He has more than 25 years of experience as a licensed building contractor. Dan has worked extensively with the aging population, stroke survivors, adult children caring for aging parents, special-needs kids and other people with special needs. He is familiar with requirements of the federal ADA (Americans with Disabilities Act). In his leisure time, he enjoys traveling, bowling, motorcycling, camping and music.